compliance. Good news, however - as of September 8, 2015, a final rule was published that created an On Site Construction procedure in 24 CFR 3282. 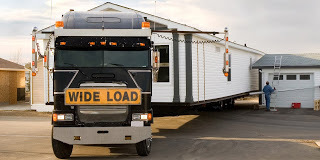 This procedure allows manufactured home builders to place a home that is 'substantially' completed at the plant and the remaining construction is completed on-site. 3) Delivery of an appliance that was ordered by the homeowner. An ‘On-Site Construction Approval’ must be obtained before the home can be placed in production. It is the manufacturer’s responsibility to make sure they have all their paperwork in order, so the process can move along quickly. In order to help you navigate the requirements, NTA has prepared a white paper (you can download the white paper here) explaining the entire process, including a list of the necessary paperwork, procedures and other responsibilities. As a nationally recognized DAPIA/IPIA provider, NTA can process On-Site Construction Approvals, as well as perform HUD Installation Inspections*. For help with your On-Site Construction Approvals, please contact NTA! *In certain “conflict” states, NTA’s services may be limited due to state level conflict of interest laws.